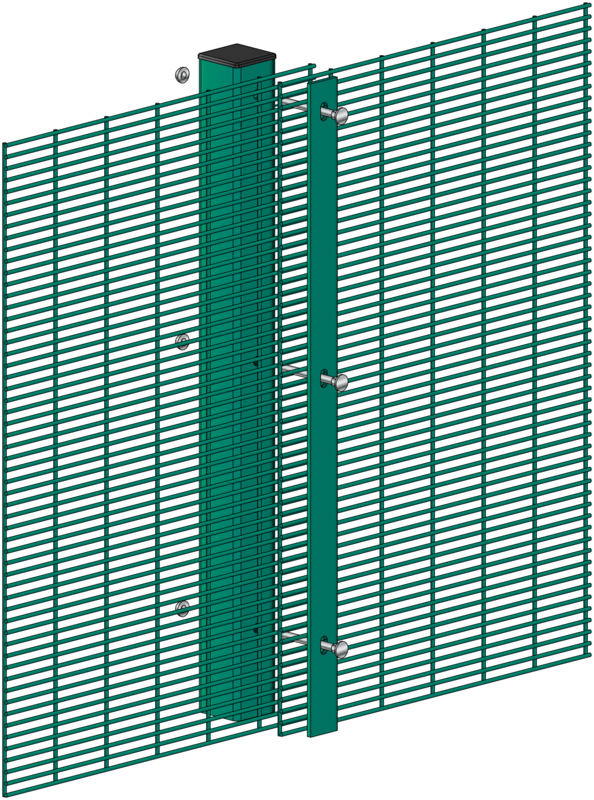 The Protek 358 Prison mesh flat panel system is designed to provide a very high level of security that is almost impossible to climb, with the narrow apertures of the mesh preventing any intruder gaining a foothold, whilst retaining a good level of visibility and an aesthetically pleasing appearance. This system is used extensively by the Ministry of Defence around high security sites. The posts and full length clamp bars that Knight Fencing offers provide a fixing system which secures the panels but allows for variations. The system is easy to install and allows the panels to be stepped, helping the fence line to follow the contours of the ground. With the vandal resistant security fixings this post and clamp system.